Another shake-up of local authority ward structures is on the cards, raising latent territorial instincts among some of us, particularly councillors. 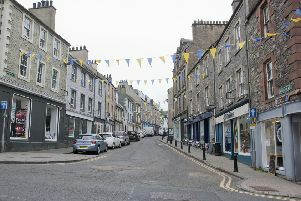 The current arrangements have only been with us for eight years, but the Local Boundary Commission for Scotland is recommending cutting the number of Scottish Borders Council wards from 11 to 10, doing away with two councillors in the process to bring the number of elected members sitting in the Newtown chamber to 32. Its reason? Parity of representation. The proposals have got Davie Paterson hot under the collar. He was annoyed at not being able to debate the issue at a meeting last week when his motion failed to find a seconder. His frustration followed the anger expressed by fellow Hawick councillor Watson McAteer on our front page last week. Doubtless there will be some of us who hanker after the old one-member, one-ward system, seeing it as simpler than what operates now when residents have to choose between three or four councillors when they have matters of concern. The commission’s recommendations may come to pass in time for the 2017 local elections, but Borderers have only a 12-week consultation period, from July to October, to have their say on them.